Unmanned Aircraft Systems (UAS), or drones, have been utilized for military and defense applications for decades, and they continue to make a dramatic impact on military deployments. But are drones the ultimate in missile defense? Many in the defense industry believe drone technology offers U.S. forces and their allies better protection from missile strikes. This August, while threatening to attack the U.S. territory, Guam, the North Korean regime launched a ballistic missile that overflew Japan and landed in the Pacific Ocean. In June 2016, a test known as Pacific Dragon demonstrated that MQ-R Reaper missile defense drones could effectively track ballistic missiles, verifying that drones can support defending the continental U.S. and those of its territories threatened by a North Korean missile strike. Currently, the same drones are being prepped to monitor North Korean military operations, track missile launches and feed crucial data to offshore Navy interceptor warships. Both missile tracking capabilities and missile boost-phase accuracy are on course to change missile defense dynamics. The existing solution to mainland intercontinental ballistic missile intercept is called Ground-Based Midcourse Defense (GMD). Based in Alaska and California, the system can block missiles flying over the North Pacific’s southernmost waters. Last May’s most recent ICBM intercept test was an incredible success. In the past, the U.S. Air Force invested billions of dollars into a laser-mounted, manned aircraft that destroy enemy ballistic missiles in flight. The tests were successful. However, due to tremendous expenses and challenging proximity requirements, the military eventually abandoned the solution. Today, the U.S. Missile Defense Agency is researching high-altitude, long-endurance, laser-equipped drones. This drone model is designed to intercept ballistic missiles as their lasers shoot them out of the sky. Although these laser-equipped drones are largely in the research and development stages, scientists hope to field this technology by 2023. While drones may be the most efficient and effective way to prevent attacks on U.S. soil, Operational Intelligence (OI) applications give UAS greater situational awareness—allowing boost phase intercept of aggressive warheads. 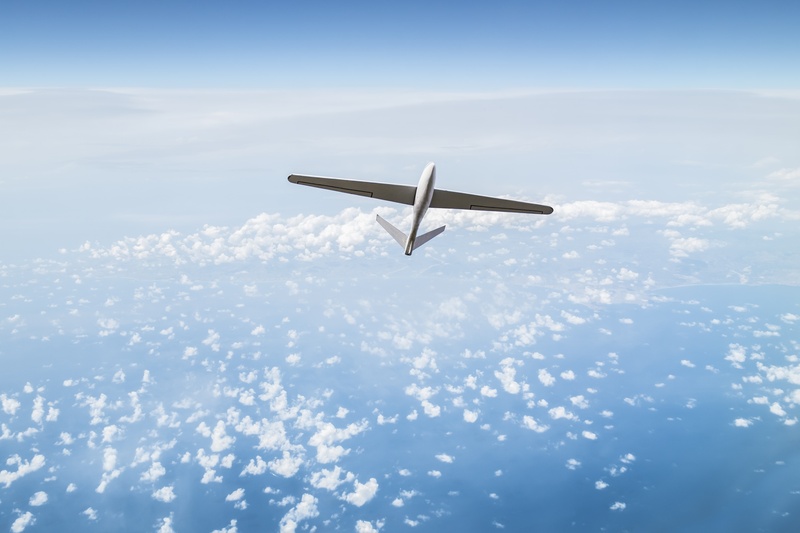 UAS, coupled with OI technology, are a credible deterrent against threats to U.S. safety and supports U.S. and allied missile defense systems. Simulyze’s OI technology, in particular, provides UAS operators with situational awareness and real-time data accessed from anywhere, in any format, to offer a Common Operating Picture (COP). Such an empowered COP enables well-informed assessments and the insight to act. OI’s data gathering, mapping, image capture and data analysis capabilities will transform the way the military functions with unprecedented visibility into vital intelligence.